Happy Monday Friends! Welcome to week 6 of a series called Missionary Mondays! Missionary Mondays are weekly updates on how God is guiding Dave and I to Myanmar (Burma) & Thailand. We hope these posts will help answer any questions but if you have any other questions please ask! We love questions. 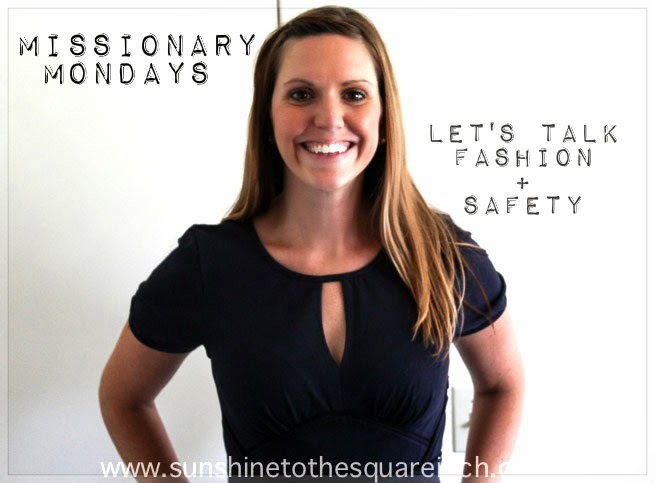 Today I'm addressing 2 topics: fashion & safety. Fashion because I'm having to revamp my wardrobe and safety because I've been asked about that a lot. Let’s start with fashion. In America it seems that 'anything goes' however that is not true in many other countries. Asia, in general, is much more modest than America. In Korea they preferred for you to cover your shoulders and collar bones (but you could wear the shortest skirts and shorts ever…weird!). Part of covering their skin is modesty and part of it is protecting their skin from the sun. One time in Korea my family came to visit and I was giving them a walking tour of Busan (a large city near where I lived). It was hot and there was no way I was going to treck around town in sleeves and pants so I had on a pair of shorts, a tube top shirt and I was wearing a backpack. Generally Busan is more laid back with clothing… or so I thought. In the middle of our tour this little old granny came up to me and start whacking me, hard! She was screaming in Korean, was pointing at the sun and then would point at my shoulders. It was a sight to see you guys but I'll never forget it. I think the old granny thought I was scorching my skin to death. I have been told by my friend in Burma that their society is much more modest than the other Asian countries. Apparently a famous singer there wore spaghetti straps to her concert and the government had a fit about her immodesty. As a consequence they gave her two options: go to jail for 3 months or shave her head and go to a Buddhist monastery for 1 month. I guess she shaved her head and lived in a monastery. I believe that if you go to a certain country you should do your best to adhere to their cultural standards (although I failed to do that in Busan). I also know we are doing mission work and there are standards with that too. So, to accommodate this I have been getting a ton of maxi skirts, long dresses, longer shorts and loose fitting capris. 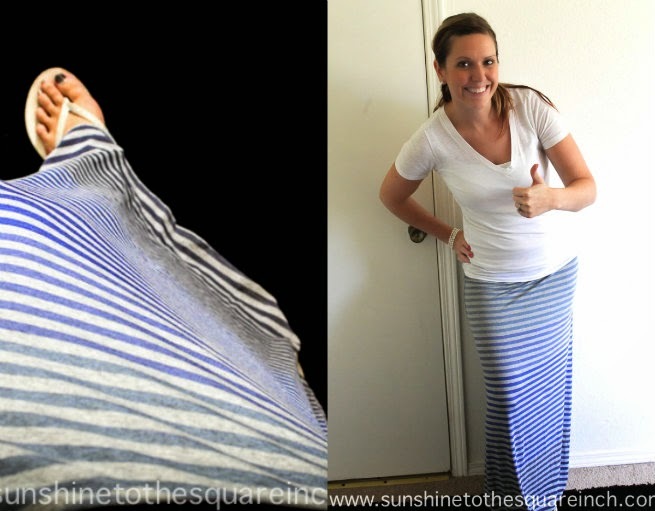 skirt: TJMaxx // shirt: JCPenney - I love the ombre stripes in this skirt! Oh and you should know that under these maxi skirts I’ll be wearing spandex shorts! Apparently it’s hot and humid in Burma and the skinniest of girls (think thigh gap girls) get chaffed inner thighs. Um... no thanks! I’ve had that before with running and I’m going to spandex it up under the skirts to hopefully avoid chaffing. This black dress is from EShakti and will be great for Asia. The company offered a dress to me that I could customize. I liked it because I could pick the length of the skirt, the length of the sleeves and the options to add pockets. I designed it with Asia in mind! Anyone have any other fashion ideas for me that will work with Asia? I completely understand those questions but the more I get asked them the more it makes me think. First off, Burma is primarily Buddhist and they usually are peaceful. I also know the Burmese government treats foreigners just fine and I’m not too worried or afraid about safety. What am I worried about? ….. mosquitos!!! It’s true. Dengue fever is prevalent in that area of the world and there isn’t a vaccine for it yet. I really don’t love being sick. Back to safety … I do think we should take precautions to be safe but what if it isn’t safe? To that I shrug my shoulders and say “So what?” (I hope that isn't too rude). I still believe if you are called – go! What if Jesus asked God that question before coming down to Earth? He came to a super dangerous world that actually tortured and crucified Him. Jesus said we aren’t greater than Him and if they persecuted Him they will persecute us. Now, I’m not telling you I want to be captured and tortured. Heck no I don’t! I think that would be scary. The dying part doesn’t scare me just the torture before part. So, I guess what I am getting at is that we are going to take precautions to be safe, and if we aren’t God will help us if we ever reach that point. That's it for today friends! What are you thoughts on safety? Anyone have any fashion tips? Also, if you missed last week I have prayer cards to send out and if you want one shoot me an e-mail and I'll get you one. Linking up with Chantel from A Harvest of Blessing. it always kinda hits me the wrong way when people ask if it's safe where missionaries are going. i believe God is sovereign & that means he is sovereign in South Carolina as well as Africa, Asia, the Middle East, etc. i agree with you - if you are called to go, then your question should be "when?" not "how safe is it?" Amen to that! I couldn't agree more! When I lived in South Korea people asked that all of the time because of North Korea but in truth, I felt more safe there than I did in my hometown of Wichita. The crime rate was super super low in South Korea and I could walk at 11pm with no fear for my safety. I really don't think that dress looks too bad. It will definitely fit in with the cultural modesty! I'm rethinking coming to visit you, though. Mosquitoes? Um, no thanks! haha. Thanks, Betsy! The eShakti dress is pretty comfortable! Your fashion stories are crazy! That is so interesting! 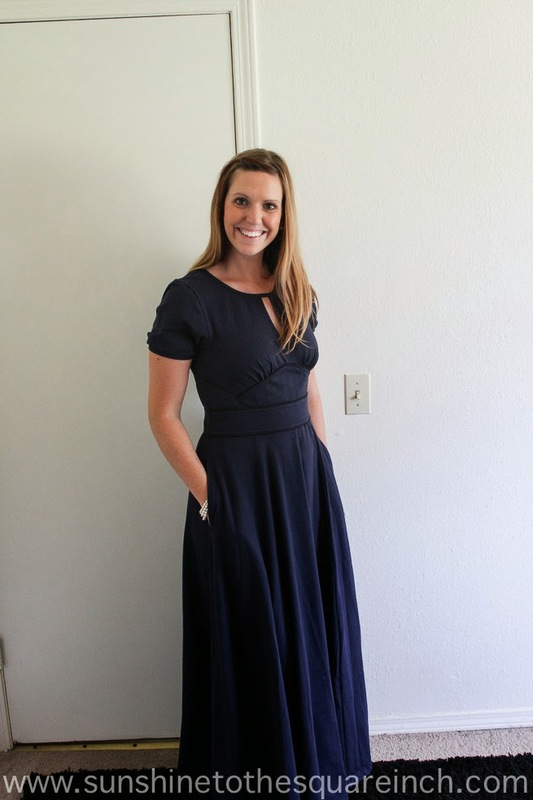 I tried two different items from eshakti and I have yet to find anything that works for me. They are crazy fashion stories. I had no idea Asia was that way until I lived there. That's a bummer that nothing from eShakti worked for you. I wasn't 100% sure about this dress but once I tried it on and took some pictures I felt better about it. I don't think this is a dress I'd wear in America much but for Asia it will be perfect. Oh my gosh I love your "so what" response about the safety- it just totally makes sense to me because if God calls you he'll most certainly protect you! And it's always so interesting to see how you have to adjust your wardrobe in other countries... You're doing a great job though, that maxi skirt and the dress are both gorgeous! Thanks, Stacia! It is important and I'm thankful I've been to Asia before so I have somewhat of a grasp on what to wear / not to wear. I'm glad you stopped by! I checked out your blog and your wedding planning is super fun! How long have you been doing that? I'm glad you love that response. Here is another thought though - what if God doesn't keep me 'safe'? I want to be safe, by all means I do but sometimes God's plans are far better and that includes suffering. It's just a thought I've had and something I've been thinking about lately. Thanks for the kind compliments on the clothing. 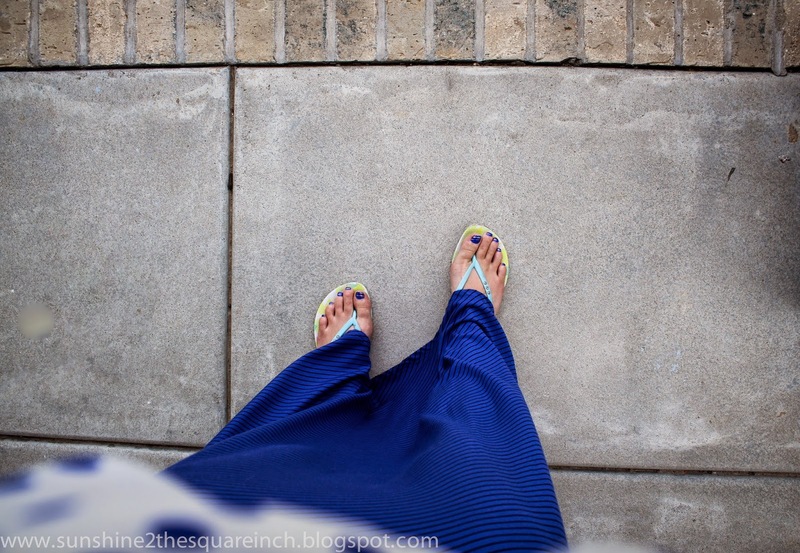 It's been a fun challenge to find clothes and I'm glad that maxi skirts are the in thing right now! What?!?! I think that those pants are adorable on you!!! Get it girl. All of your clothes are super cute! I think the pants are cute too. However, my husband tells me I'm pretty every day and so if he really really hates something I try to accommodate. The only other piece of clothing he really hated were the real granny pants I purchased in Korea. :) they are similar to the ones above but uglier! All of us girls bought matching granny pants and it was quiet the site. I really do! I just feel like they would accentuate my hips/all the wrong places! Any tips? Dengue is very common where I used to live--a lot of my friends have gotten it, and my little sister was hospitalized with Chikungunya (very similar to Dengue) a few years ago--the mosquitoes are worth avoiding! Mosquito nets are the best. Because of growing up in a Muslim nation I also stick to shirts with sleeves and longer skirts. 100% cotton clothing is a lifesaver in the tropical heat! Haha, I bought a pair of pants similar to those and my husband voted no. Boo. I am loving those dresses and skirts, though! i loved wearing ones similar to those in Romania. And yes, spandex is a must! Ok! The pants! Let's talk about those. Do the old grannies in Singapore wear them? In Korea only the old grannies that gardened wore these. I don't know why all of us American girls bought matching pairs but we did. We wore them and then the old grannies laughed at us. However, when I brought them home ... my husband was not laughing. ha ha! 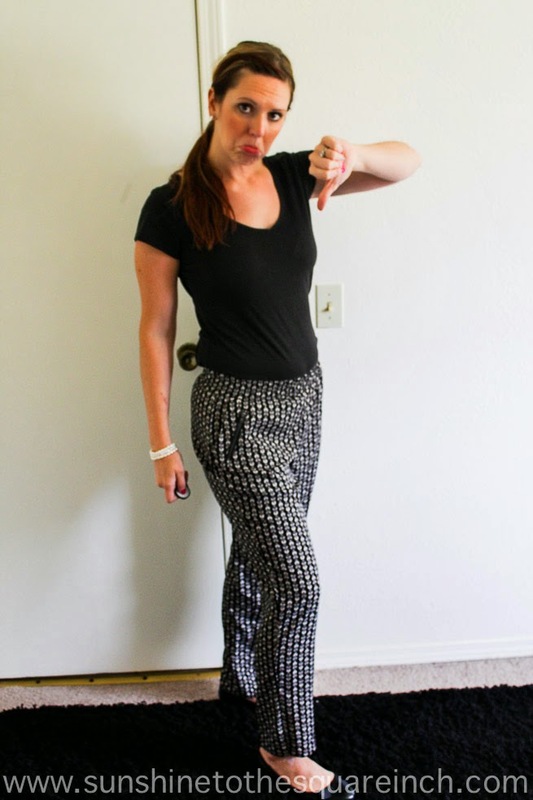 Then I'm home for a year and I start seeing these darn granny pants as a fashion now. I thought "What the heck?" I checked out your blog and that is so fun! I'll have to read more about you and your life in Singapore. How long have you been a missionary? Oh man! I am starting to brace myself for things like Dengue. I guess if it happens the Lord will take care of me. I got the flu last year and that was pretty wretched so I'm guessing it would be similar to that. Why is 100% cotton a lifesaver? I've been trying to buy that quick dry material but is there something about cotton I don't know? ha ha ha! That's funny that you got vetoed too. My husband just looked at this blog post with me and he said that they look much better in that picture than in person (but he still isn't a fan). What did you do in Romania? How long were you there? Ah, the pants. A lady in Malaysia bought them for me when I went to speak there. People in Singapore tend to dress very office-y most of the time, and the rest of the time tend to wear a t-shirt and shorts. I don't really notice them wearing these pants. To be honest, I dress a bit differently to everyone, as I like hippy-child, alternative kind of clothing and most of my skirts are long and flowing as opposed to the preferred very very short skirts and shorts. Once I went on a hike and they told me "your pants are long" (well, of course, they are pants after all!). Hi Beka! Thank you so much! I've been wedding planning for 1 1/2 years now. I really, REALLY love it! How long will you be in Asia? Just because the humidity is so crazy high here, whenever you wear something with polyester or other man-made fibers it kind of feels like you're trapped in a sweat tent. You still sweat in cotton or other natural fibers but it's breathable so that you aren't itchy and drenched in sweat all of the time. The classrooms we teach in aren't air-conditioned, so I pretty much wear my cotton eshakti dresses to teach in all the time. oh my word, i would have been HUMILIATED if that had happened to me in korea! yeah tube tops are definitely not ok in asia. the only girls who wear them in cambodia are tourists and hookers (sorry if i'm offending you...just giving you the honest opinion of someone who has lived in cambodia :). it's really interesting that in cambodia, most women wear pants, or the wrap around sarong skirts. it's definitely a lot cooler! i haven't had any chafing problems but i think myanmar might be a lot more humid than cambodia. i wear maxi skirts a lot and the basic short sleeve tees, and actually leggings with the longer tunics (as long as they cover the bum, they seem to be ok here! girls wear really tight jeans!) so that's my two cents :) but your clothes are SUPER cute - much more than my closet currently is, hehe! I'm not offended by your comments. My friend in Burma told me that only "loose girls wear shorts". ha! It's so interesting to me how different cultures have different standards of modesty. I am glad that Asia has some standard of modesty (even though it's weird) because so many other countries have zero standards! I have a bunch of basic short sleeve tees so I'm glad to hear those work well over there. Ah, two great topics for going overseas! It drives me crazy when I see girls going overseas to do missions but are obviously not following the dress code of the country the entire time they are there. I would think that could be a huge hindrance in their spreading of the Gospel. I understand! I didn't exactly follow all of the protocols in Korea but I was also there for different reasons. But yes, in Burma the last thing I want to do is offend someone to where they won't hear the gospel.